Carlson (right) and Lance Carlson (left) own Quincy Tractor, a 5 store New Holland dealer that has been able to grow its customer base — and revenue streams — through the addition of different shortline equipment brands. Shortlines Help Quincy Tractor expand into new customer bases that have introduced sustainable revenue streams. Versatile may technically be considered a shortline in the farm equipment industry, but Quincy Tractor does not view it that way. The dealership, which has been owned and operated by the Carlson family since 1962, decided to add Versatile to 3 of its 5 locations in 2016 — Quincy Tractor in Quincy, Ill., Midwest Tractor Sales in Jerseyville, Ill., and Brookfield Tractor in Brookfield, Mo., — because of its history with their core mainline, New Holland. Location: Brookfield, Hannibal and Bowling Green, MO. An Quincy and Jerseyville, Ill. In the 2 years of having the Versatile line, Zach says it’s provided Quincy Tractor an competitively priced 4WD tractor as well as access to older parts for Genesis and older Versatile tractors, which has brought in a sustainable revenue stream. “It’s opened the door for us to become a Cummins Certified dealership and it’s provided additional revenue stream in service that we provide to our customers,” he adds, explaining that they’re now able to completely service, warranty and provide parts for other brands that use a Cummins engine. It’s also allowed them to sell tractors at a competitive price through leasing, which has provided an incremental income as well. “We were finding ourselves outmatched by Case IH and Deere in the leasing game,” Zach says. 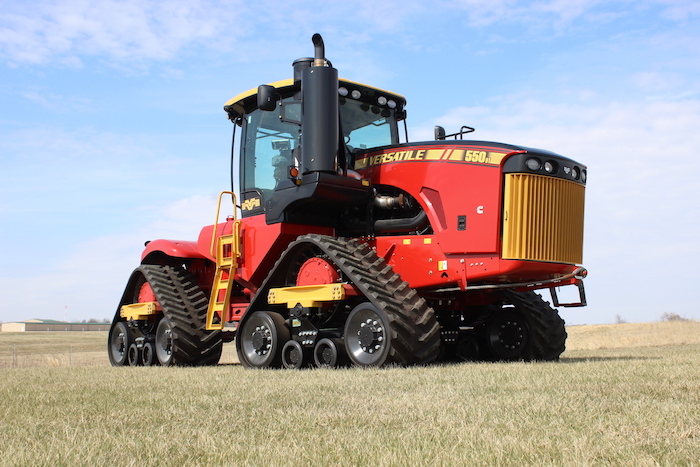 The Success in Shortline Machinery series highlights the best practice strategies employed by top farm equipment dealers to promote and sell shortline equipment. It is brought to you courtesy of Art’s Way Manufacturing. Art’s Way Manufacturing is a proud Iowa manufacturer of specialized ag equipment including grinder mixers, hay/forage equipment, bale processors, manure spreaders, and land engaging products. Built on a 60 year tradition of quality, we have recently implemented our Continuous Improvement program. If you are seeking to grow in 2018 with Art’s Way’s quality products and service, please contact our Customer Service Center for your area representative at 712.864.3131 ext. 1 or via email at marketing@artsway-mfg.com. Because of its history with New Holland, a good portion of Quincy Tractor customers — mostly corn and soybean farmers — were already familiar with Versatile when they started carrying the line. Zach says a lot of them knew about Ford Versatile tractors and the Genesis line. But for customers not familiar with the brand, the dealership has made an effort to open their minds with Versatile by hosting ride-and-drive events and demoing the product. Last year at their Brookfield Tractor location they hosted a Versatile Hot Iron Event, where around 100 customers spent the day learning about the full lineup. The dealership also offered a discount on the purchase of a Versatile product for those attendees. While some customers did take them up on that discount, Zach says the real purpose of the event was to “plant the seed” with them. Zach believes the dealership has done its part in promoting and advertising Versatile, and feels their customer base now views Versatile as a full-line manufacturer, especially with its tillage products, something that New Holland had been missing until it acquired Kongskilde last year. The only store that does not have New Holland is Brookfield Tractor, which carries AGCO’s Massey Ferguson line. 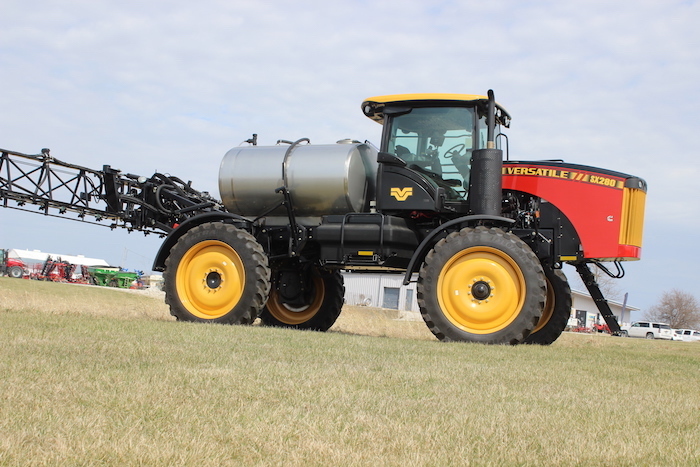 Instead of competing with each other, Zach says Versatile’s lineup has provided equipment and options they don’t have with Massey Ferguson. He adds that the Massey Ferguson brand has a CVT transmission in their 8000 series tractor, while Versatile offers a power shift transmission. The dealership also offers a number of shortlines, including Bobcat, Dalton Ag, exMark, MacDon and Kinze. “We offer other types of tillage besides what Versatile offers,” he says. “I have grain cart lines. I have lawn mowers. I have skid steer construction equipment. That all supplements us to make us a full-line dealer for agriculture. Because of its history with New Holland and the Genesis tractor, the dealership’s employees already had a good perception of Versatile. Adding the line didn’t come without its challenges, though. Zach says their first challenge was finding equipment fast enough. “We were constantly trying to find inventory to sell,” he says. There was also a learning curve to the management system, such as the dealer portal and discount structures, that took them about three months to get caught up on. To shorten that learning curve, Zach recommends other dealers designate the proper personnel in their dealership to sit down with a couple Versatile representatives to learn the system. That willingness to help and support their dealers is what the Carlsons have been most impressed with about Versatile. Zach says the accessibility of key personnel is unlike any other company they deal with. Zach recalls one time a customer was having a problem with the GPS on his tractor. The GPS was a Raven, but Versatile sent their service rep in, who spent two days in the dealership’s shop and didn’t stop until it was fixed. From 2010-16, Quincy Tractor expanded its dealership from its one store in Quincy, Ill., to 4 fully owned and operated stores in Illinois and Missouri. They also own a third of Midwest Tractor Sales Jerseyville, which was formed by Lance and two friends. With the addition of the stores and new equipment lines comes the addition of personnel. Today the dealership has over 70 employees and Zach says they’re constantly on the lookout for talent. One strategy that’s been successful in bringing in new talent is a sponsorship program they have with the local FFA chapters, where they send technicians to college for two years and put them under contract with the dealership. Zach says he’s had about 5 technicians go through that schooling that are still employed by them today. While the company is growing, Zach says they plan to focus on what they already have in place and grow the business at their current locations before further acquisitions or openings. That includes possibly offering Versatile at all of their locations, as Bowling Green Tractor and Hannibal Tractor, located respectively in Bowling Green, Mo., and Hannibal, Mo., do not currently offer the brand. “We are having customers call us about Versatile at those two locations,” he says. One thing that won’t change is how the Versatile brand is treated as a mainline. In fact, Zach’s advice to other Versatile dealers is to treat it as a major line like they do. The international gold mining company Nord Gold SE reports about signing with the East Equipment company of the contract for delivery of the mountain equipment and technical support of the equipment for the Gross project. Total amount of the contract calculated for 5 years is estimated at the sum to $60 million. Caterpillar Spare parts for sale: visit our website, www.aga-parts.com. The international gold mining company Nord Gold SE (“Nordgold” or “Company”) reports about signing with the East Equipment (EE) company, the official dealer of Cat® in Russia, contracts for delivery of the mountain equipment and technical support of the equipment for the Gross project. Total amount of the contract calculated for 5 years is estimated at the sum to $60 million. The contract has provided high-quality training of experts of Nordgold of operation and to maintenance of the equipment on VT exercise machines. Several levels of training for ensuring the maximum safety of employees at objects — one of the most important priorities of Nordgold concerning the assets will be realized worldwide. The contract also assumes cooperation in introduction on the Gross mine of Cat® MineStar™ HEALTH technology for remote monitoring of technical condition of the equipment. It will allow to cut operational costs and to provide the maximum reliability. The contract also extends to control of environmental pollution, technology of wireless inspections, the analysis of engine oils according to the program S • O • SSM and also measurement and management of wear of a running gear of the caterpillar equipment. “We have signed with “East Equipment” the major contract on supply of equipment for the Gross project. Nordgold has developed the advanced model of assessment of offers on the key criteria covering questions of technical characteristics, training, components, guarantees, spare parts, technologies and support of innovations. Under the contract from our partner the most high-quality support for ensuring stable operability of the equipment necessary for implementation of the production plan of the Gross mine which after start in 2018 and an exit to design capacity will become the largest asset of Nordgold in Russia is required. Now construction of this mine of a world class with preparation for introduction of the advanced strategy and achievement of high operational performance is conducted”. “East Equipment” is glad to see Nordgold among the business partners and users of the equipment Cat. A common goal for our companies is use of the latest international experience in control of the equipment for achievement of the maximum return on investment. We will give all support of the Nordgold company in achievement of a goal, as on the place of operation of the equipment, and far off with involvement of the best experts of W. We thank Nordgold for the given opportunity to become the supplier of so significant batch of the equipment and are happy to be a part of the project Gross”. Copyright 2018 © All rights reserved. | More Experince by DE Inc.